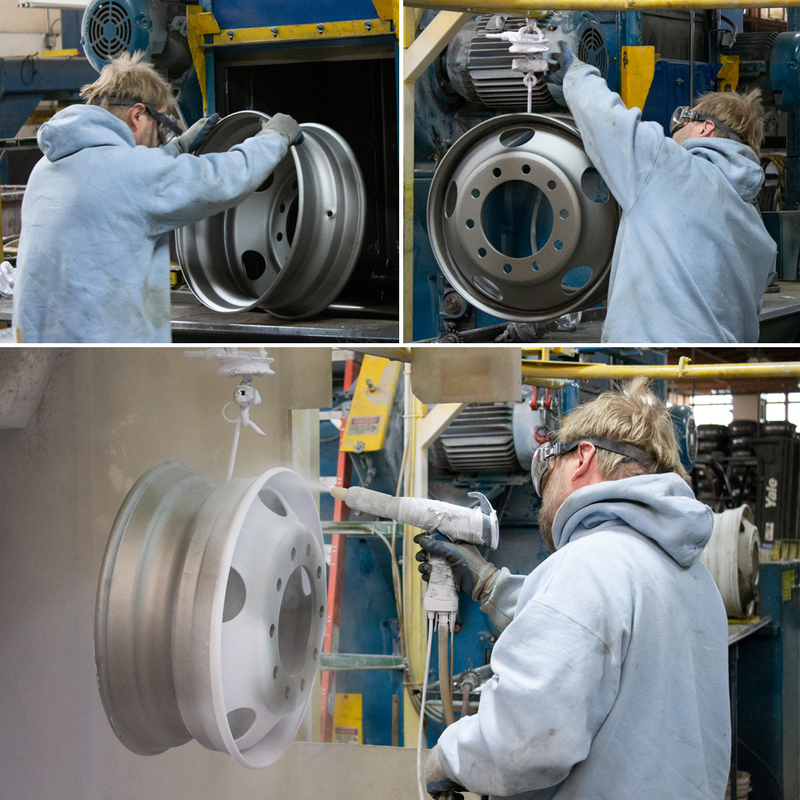 We offer powder coated wheel refinishing. Powder coating applies a consistent finish to your wheels and makes older wheels look new again. Powder coating can also prevent excess rust and corrosion. Corrosion on wheels can case disc wheels to come loose and create several tire related issues.